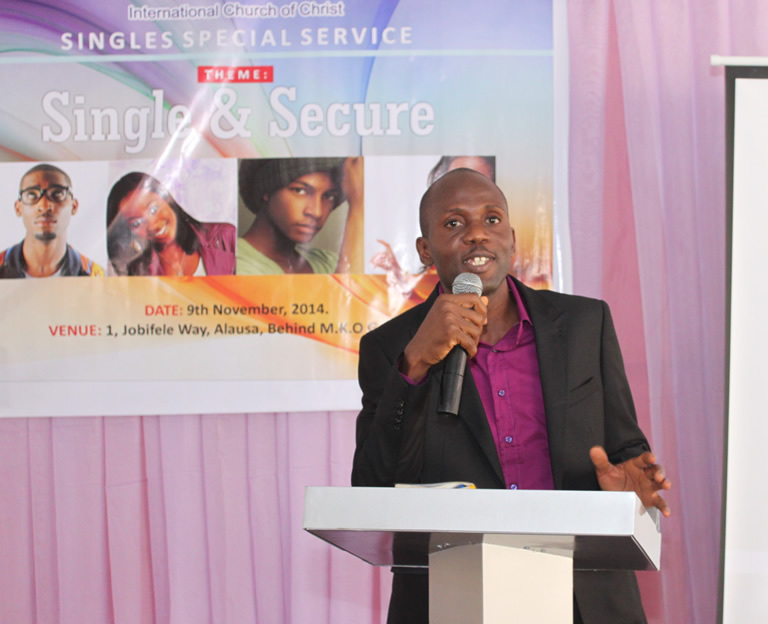 What an exciting and uplifting atmosphere at the ICOC Ikeja/Ketu Facility as the singles of ICOC Ikeja Region had their 2014 Singles Service on the 9th of November 2014. 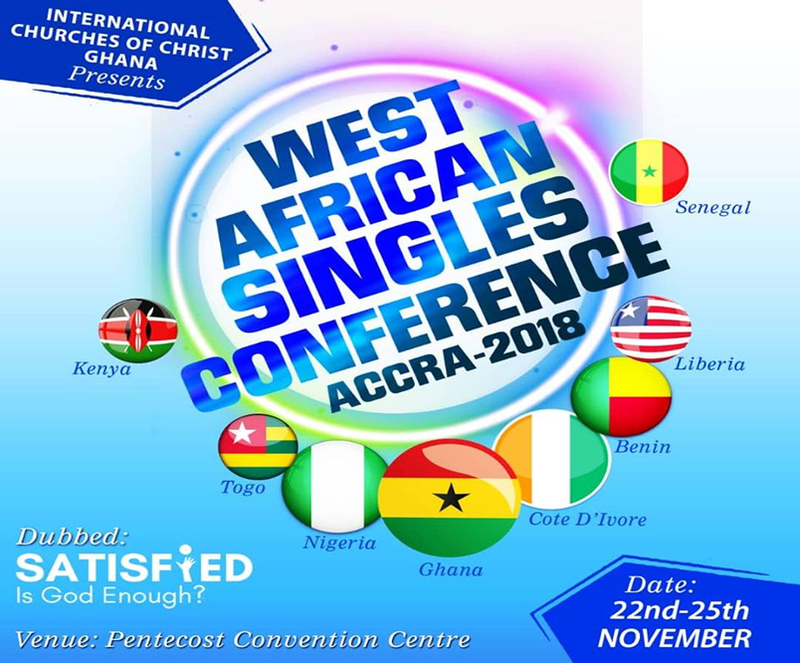 The service which was tagged Single and Secure, commenced exactly 10am and saw singles in Ikeja region hosting singles from other regions as well as 15 visitors. 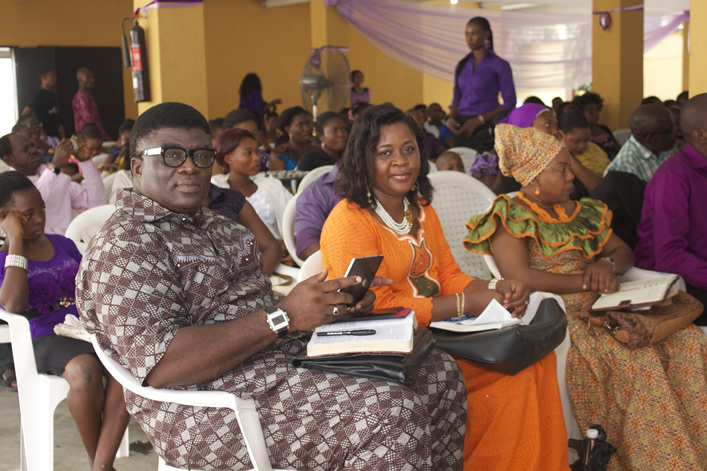 The service was coordinated and led by the Ikeja-Ketu singles. The thoughts on the Communion, led by Oluwatosin Adetunji, from the book of Luke 22:17-19 encouraged disciples to remember Jesus’ sacrifice always. He also reminded them to remember Jesus’ love, humility, obedience to his father’s commandment, faithfulness and willingness to die for the sins of the world. The sermon proper was also led by a single, Femi Ogunbanjo who admonished the congregation from the story of Joseph, enlightening the singles on how Joseph lived as a single and secure by obeying God’s Commandment. He further challenged the singles that to overcome the challenges, temptation and struggles of the world, they must focus and remain firm in God as Joseph did. He urged the church to fear God, get closer to God through his word, obey his commandment, put their trust in God and do exactly his will then they will live as single and secure. Joel Agbadu closed the service with words of prayer and the church was dismissed for greater time of fellowship.